You are putting yourself at risk if you are not asking your doctor for these tests every year. Monitoring the progression of your health with blood work each year is extremely easy and vitally important. However, the typical yearly physical is NOT a comprehensive look at your health, and it rarely prevents chronic illness. Therefore, it is very important that you take preventive health measures into your own hands. Last week my article titled “A 15-Minute Morning Routine That Will Dramatically Reduce Stress” was published on MindBodyGreen! “Our bodies aren’t designed to manage the amount of stress we’re bombarded with on a daily basis. Chronic sleep deprivation. Blaring alarm clocks. Long work hours. Lack of vacation time. Kids’ busy after-school schedules. We’re overweight, undernourished, and badly needing regular exercise in our lives. But with our crazy schedules, who has time? Your primary goal in establishing a healthy habit is to reduce the harmful effects of stress. Without stress, amazing things happen. Chronic diseases disappear. You look and feel younger. You spend less time sick. No magic pill or fancy technology will ever replace good old-fashioned taking care of yourself. If you find yourself waking with your mind racing through all the things you need to do for your day, this post is for you. Here are some additional helpful resources for creating your 15-minute stress reducing morning routine. Last week my recipe for the No Kitchen Cookie was published on the MindBodyGreen website! “When I moved to Chiang Mai, Thailand, seven months ago, I did not anticipate that the typical Thai apartment would have no kitchen! At first, this seemed like a problem. However, after you discover all the fresh, healthy food readily available outside your doorstep for $1-3 per meal, you start to gain perspective. It is often more expensive in Thailand to cook at home than it is to eat the local street food. However, I still miss cooking, especially fun treats from time to time. Several months ago I met my travel heroes at a breakfast gathering here in Chiang Mai, Thailand. Ty and Sloane left Utah and embarked on an epic journey with Fay, their 8 month old baby, to travel around Thailand, Bali, Cambodia and Vietnam for 100 days, bringing with them only 1 small Jansport and 1 travel backpack. I suddenly felt very sheepish about packing my own brand of deodorant to Thailand. 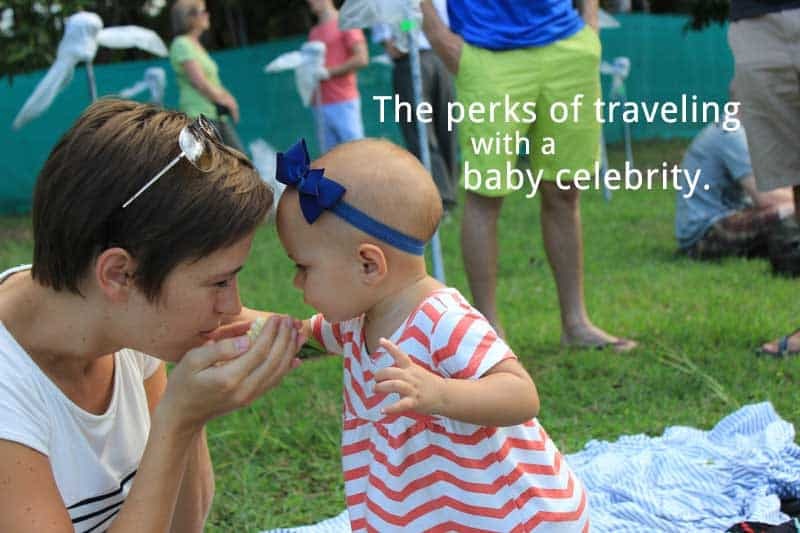 So, I decided to interview them at the end of their journey, to get all their tips and tricks about traveling with an infant. Muay Thai is the national sport of Thailand. If you sit down to eat dinner at a authentic Thai restaurant chances are there will be one of two things playing on the television: a truly horrible sitcom about a overly dramatic teenage love triangle OR Muay Thai. Thai professional kickboxers can have upwards of 300 fights during their careers. To put that in perspective, if a professional boxer has 50 fights that is considered a very seasoned career. Nobody fights as much as the Thai. So, people come from all over the world to train in Thailand.